Ludovic Thiriez was born in 1984 in France. He lives in Hungary with his wife and children. He is mainly self-taught, but studied painting for 1 year at the School of Fine Arts in Budapest, Hungary. The artists who inspire him include Adrian Ghenie, Albert Oehlen, Cecily Brown, Gerhard Richter, Marlene Dumas, Maurizio Cattelan, Michael Borremans, Neo Rauch, and Peter Doig. 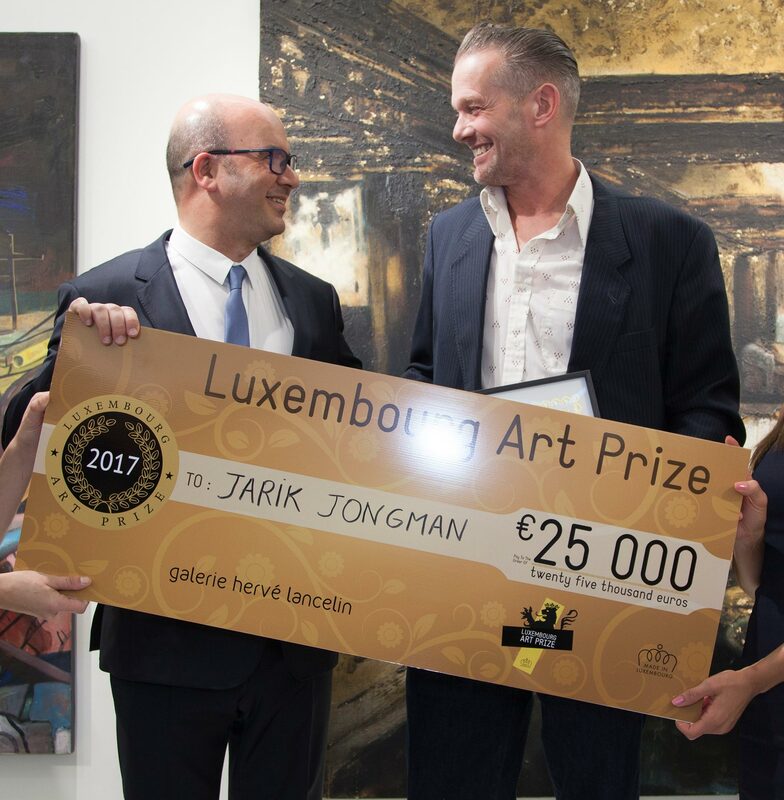 This was his first time participating in the Luxembourg Art Prize. He received a grant of €25,000 and the congratulations of Hervé Lancelin, the judges, and the public. Life is an accumulation of experiences and feelings. It was by starting from this idea that I found a process of creation in my painting. The idea is to superimpose different elements and styles to create a new balance. I spent my childhood dreaming. My parents always told me that my head was in the clouds. Today, with a certain distance, I am able to draw on the imagination of my childhood and stories. My inspiration often comes from old photos or from my own shots. It is not unusual for me to use embroidery and animals in my paintings. The embroidery evokes the transmission of knowledge between generations. In Hungary, where I am based, each region had its own patterns and styles. The quality of the embroidery present in any given house highlighted the skills and know-how of the woman living there. This know-how was passed from mother to daughter. Animals are part of the imaginary world of children and are very present in fairytales. I use them as narrative symbols for my own stories; sometimes they become characters in their own right. Childhood is a fabulous mirror for humanity where we find gentleness, play, violence, tenderness, vice, questions, love, etc. A raw material that time shapes. The child slowly becomes aware of his Humanity with great purity and naivety. It is this moment that I try to capture in my work and my research. I observe this transition, choose my moments, and relocate my subjects to transcribe a sensation. Michael Borremans, a contemporary painter I admire, said about one of his exhibitions that the less explanation a painting needs, the better it is. When I "install" different elements on a canvas, I always try to keep this idea in mind. It is both very difficult and exciting to create, to figure out when the story must stop and when it should continue. Sometimes my paintings fill up naturally and sometimes they remain very spare, depending on the feeling that emerges as I paint. We see a group of children smiling and having fun, laughing. There is also this one little boy who is treated in a more abstract way—"the neighbor." He looks more worried and on his guard. Another child points to something outside the canvas, something that may also have scared the birds. And then this yellow line, a sketch, a temporary geometric construction, which stands in the middle of the swamp as if in a dream that escapes our grasp, shifting to become something else. 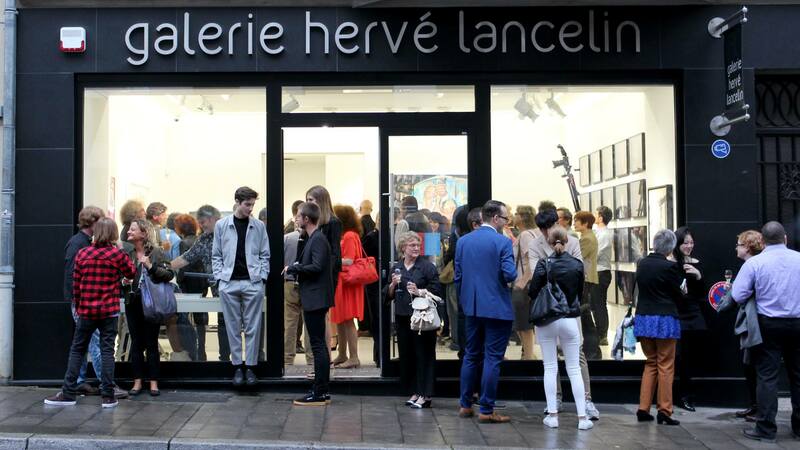 Many visitors came for the opening evening of the Luxembourg Art Prize finalists’ exhibition! Jarik Jongman was born in 1962 in Amsterdam in the Netherlands. He lives and works in Amsterdam. 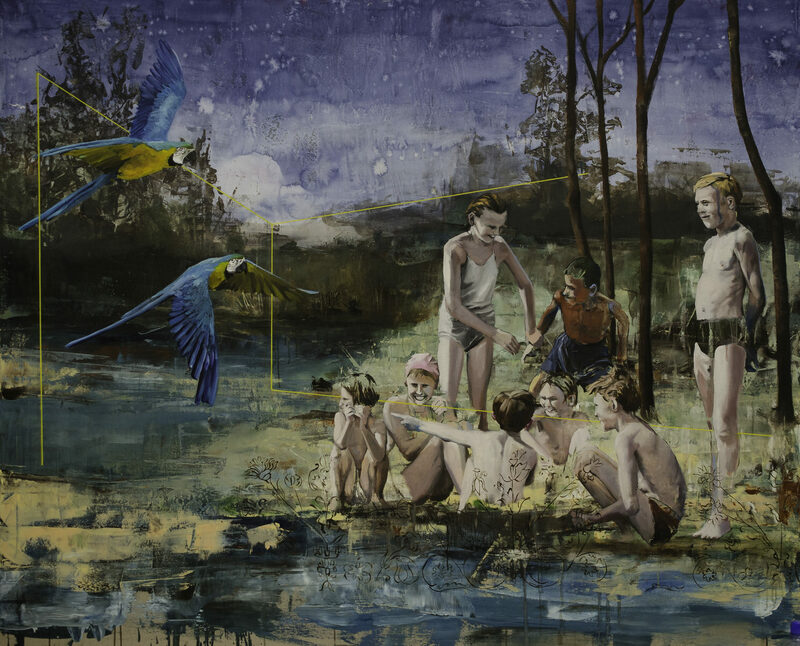 The artists who inspire him are Adrian Ghenie, Anselm Kiefer and Peter Doig. He is a graduate of the Arnhem Academy of Art in the Netherlands. He works as a waiter. 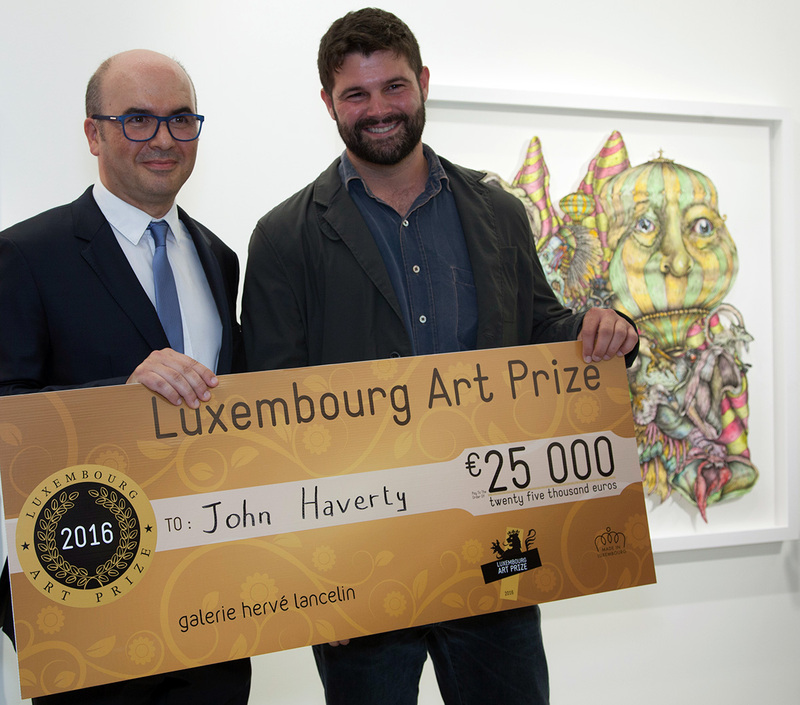 He receives a grant of €25,000 and the congratulations of Hervé Lancelin, the jury members and the public. 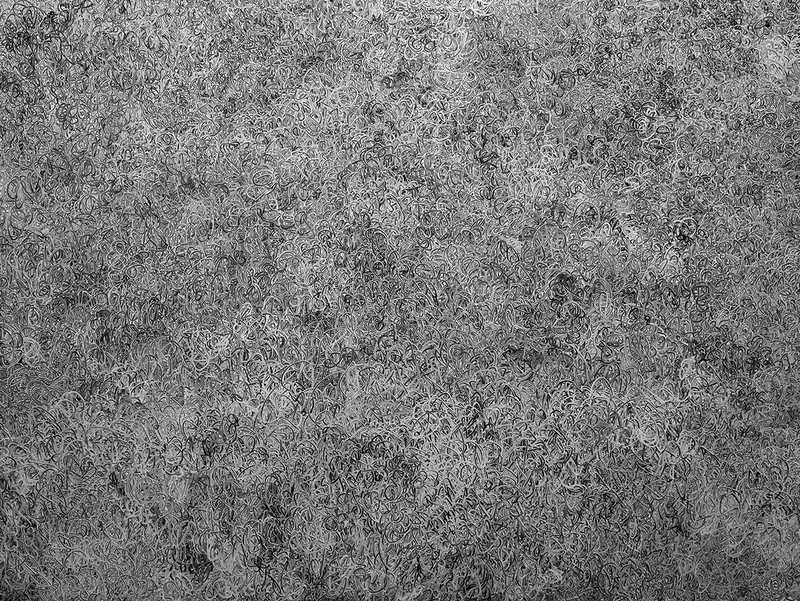 In his work over the years, the artist has been fascinated by the notions of fleetingness, ontology, religion and history. Many of his works involve architecture in one form or another: motel rooms, waiting rooms and dilapidated buildings, often lacking any human presence, frequently evoking feelings of nostalgia and contemplation, with a definite touch of the miraculous or the supernatural. 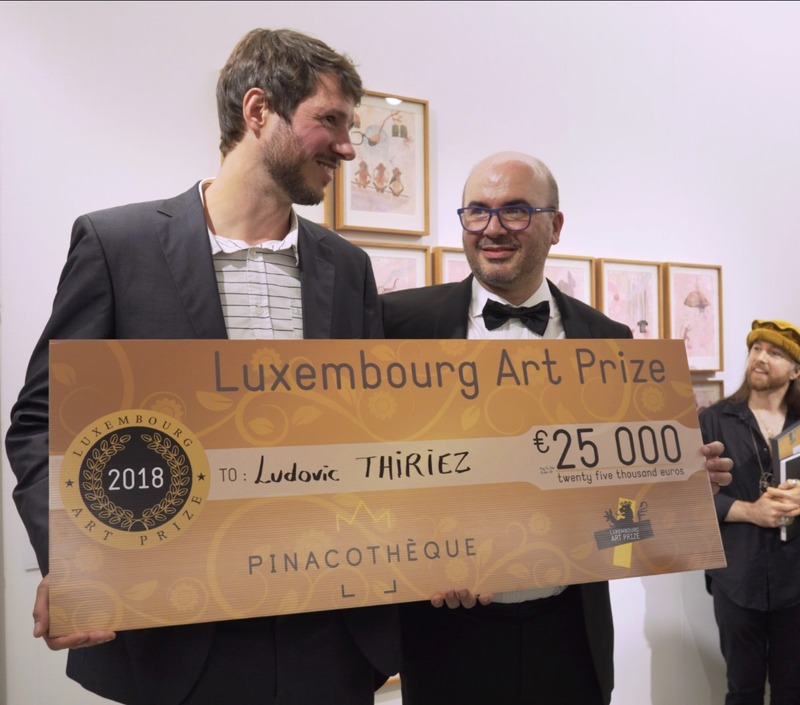 In his latest work, conceived especially for the Luxembourg Art Prize, he concentrates on what he sees as the primary tragic development of our time. As with all paradigm shifts, the foundations were laid several decades ago and we are watching the unfolding events with an increasing sense of helplessness. Socio-economic pressure, immigration, the refugee crisis, international terrorism and climate change are causing anxiety at global level. Underlying the feeling of fear and lack of control provoked by these problems, our post-truth society is emerging, incarnated like nothing else by Donald Trump, the President of the United States of America. The artist has used modernism, or more specifically modernist architecture, as a starting point for the idea that it represented a utopian spirit, conveying ideal visions of human life and society and a belief in progress. Modernism was very preoccupied with reconciling a new architectural form with social reform, creating a more open and transparent society that believes in human perfectibility in a world without God. The rise to power of Joseph Stalin led the Soviet government to reject modernism for what it claimed was its elitism. The Nazi government in Germany saw modernism as narcissistic and absurd, together with "the Jews" and "the Negroes". The Nazis exhibited modernist paintings alongside works by mentally ill patients in an exhibition entitled "Degenerate Art". Accusations of "formalism" could end a career, or worse. This is why many modernists in the post-war generation considered themselves the most important bulwark against totalitarianism, the "canary in the coalmine". 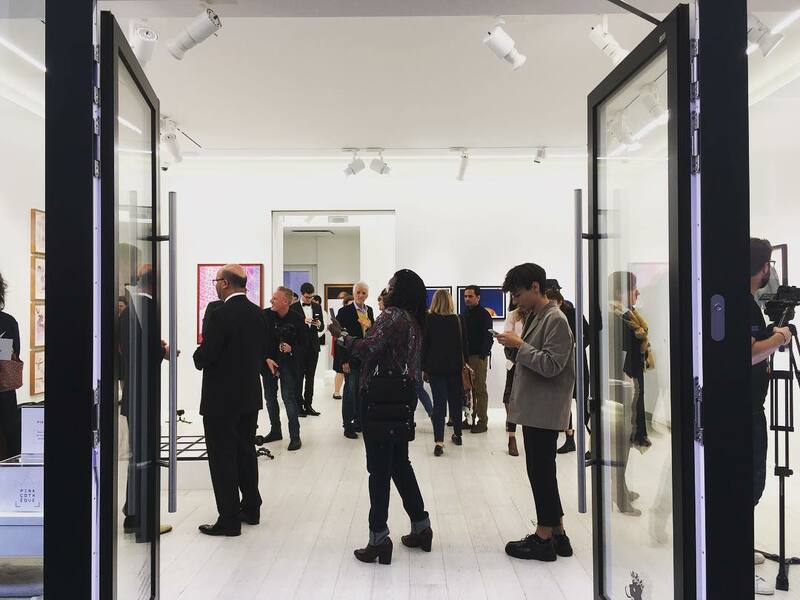 The paintings presented by the artist to the Luxembourg Art Prize explore these ideas. The goal is to convey a feeling of imminence, and fire plays an important role. Fire is the ancient symbol of transformation, a metaphysical constant in the world. 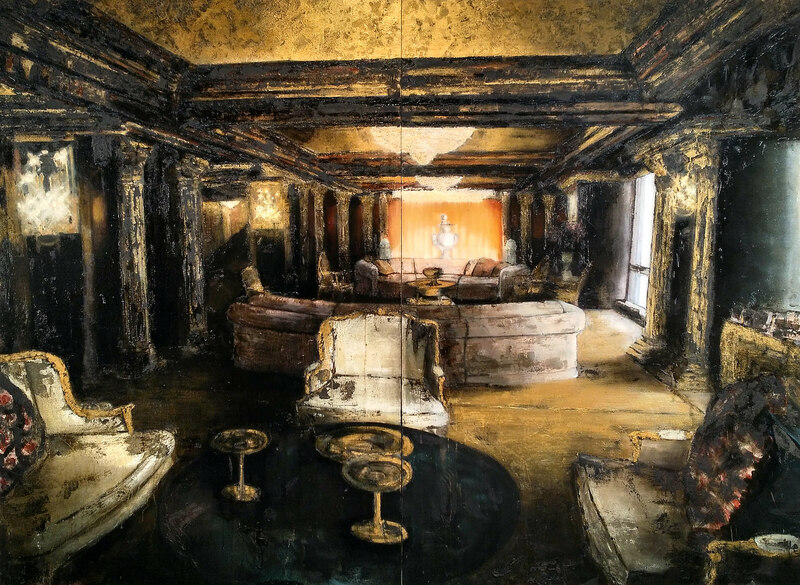 He paints these buildings and villas whose significance has been enlarged, moving from simple functionality to an iconic, symbolic status, as sublime, transcendental structures, coveted and threatened by impenetrable, menacing forces. The feeling of menace is palpable; impenetrable, threatening forces invade this symbol of modernity and illumination. John Haverty was born in 1986 in Boston, USA. He is American and lives in Massachusetts, USA. 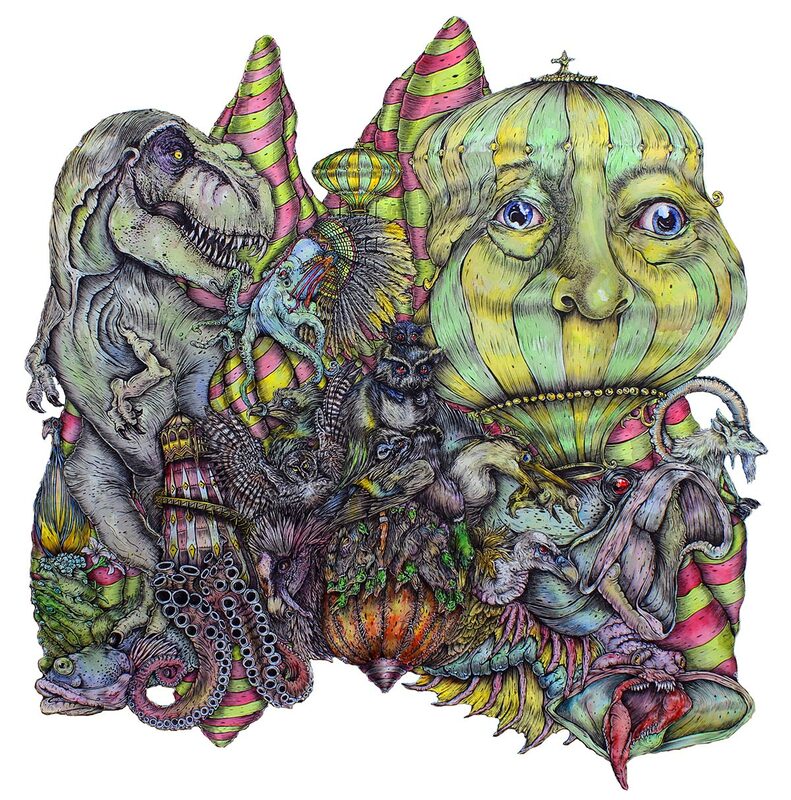 The artists who inspire him are Dieric Bouts, Hieronymus Bosch and Salvador Dali. 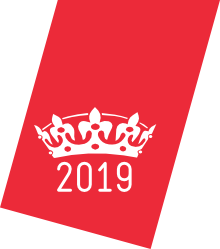 He obtained a master’s degree in Fine Arts from Savannah College of Art and Design in Savannah, Georgia, in 2015 and a Bachelor of Fine Arts degree from the University of Massachusetts in Amherst, Massachusetts, in 2010. He works for an airline. During the 2016 Luxembourg Art Prize ceremony, Hervé Lancelin made a €10,000 donation to the National Museum of History and Art (MNHA) to help fund the acquisition of a major work for the museum’s collections. Michel Polfer, Director of the MNHA, emphasised the importance of the donation for the museum. Albert Janzen was born in 1989 in Sibirskij, Russia. He is 26. German by nationality, he lives in Amsterdam in the Netherlands. 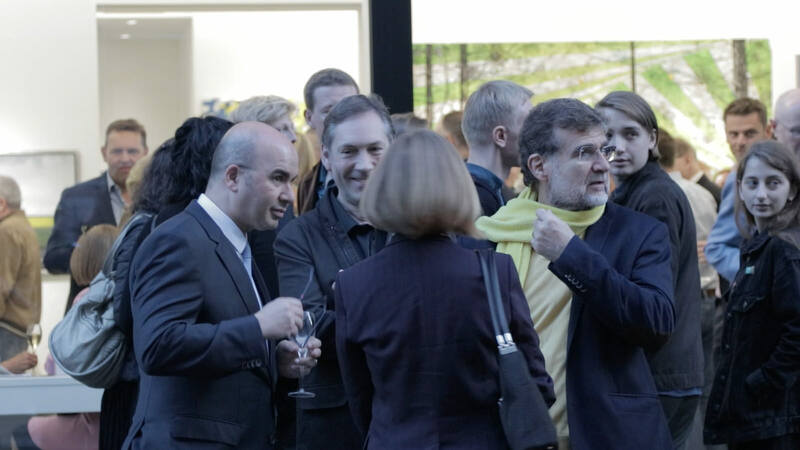 The artists who inspire him include Gerhard Richter, Cy Twombly, Zao Wou-Ki and Antonio Murado. 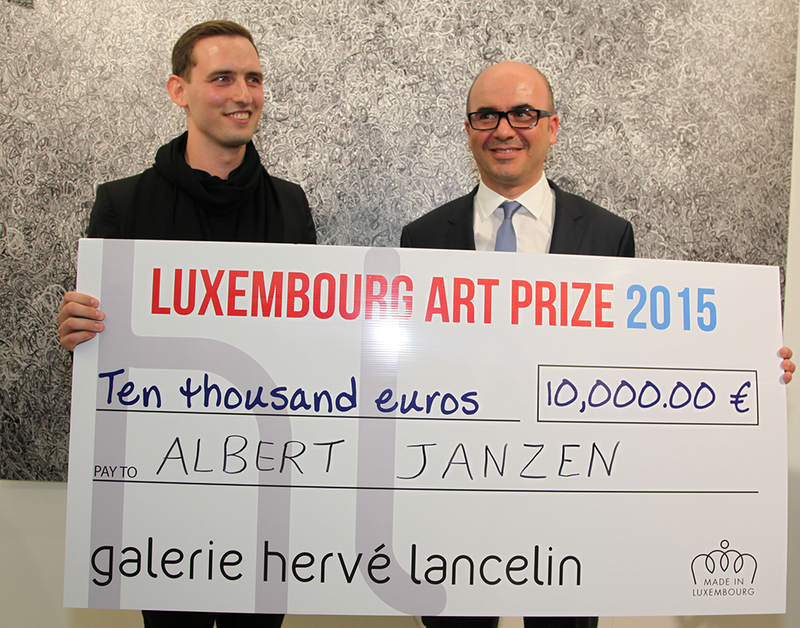 He receives a grant of €10,000 and the congratulations of Hervé Lancelin, the jury members and the public. 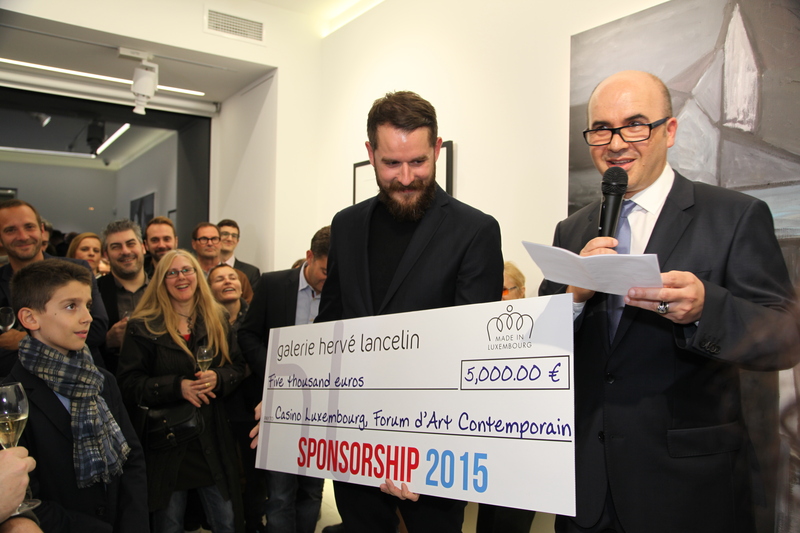 Galerie Hervé Lancelin gave the sum of €5,000 as cultural sponsorship for the Casino Luxembourg – Forum d’Art Contemporain, helping to fund the redevelopment project to mark its twentieth anniversary. 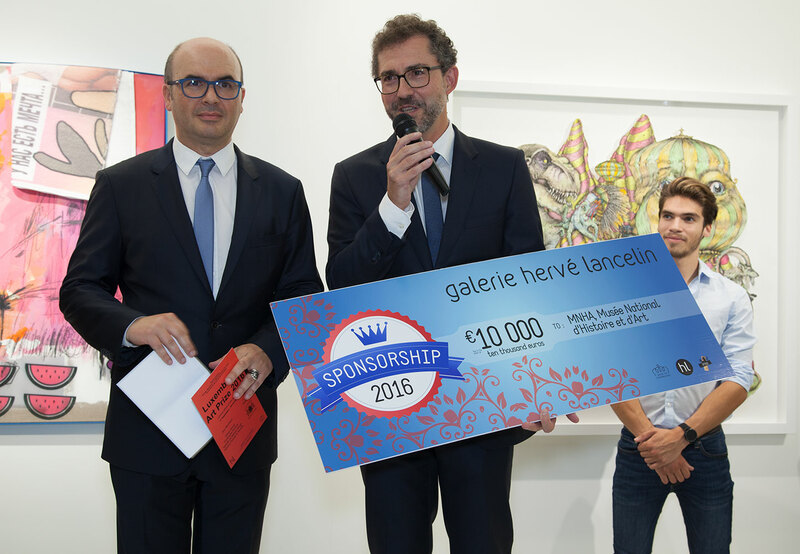 Kevin Muhlen, Director of Casino Luxembourg, welcomed this action by the gallery.